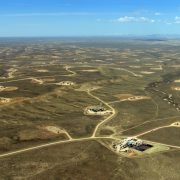 The Bureau of Land Management (BLM) is currently considering regulations and guidelines for unconventional oil and gas development on millions of acres of public land, and SkyTruth believes that public disclosure must be an integral part of these new rules. The BLM has already indicated that they are strongly considering FracFocus.org as the platform for disclosure, however, there are a number of transparency issues which are not currently addressed by the industry-funded website. The Jonah Field in Sublette County, WY is partly managed by the BLM and has seen heavy development in recent years, based on mineral leases from the 1970’s. Millions more acres are under consideration for development, requiring strong, effective management with accurate and accessible disclosure. 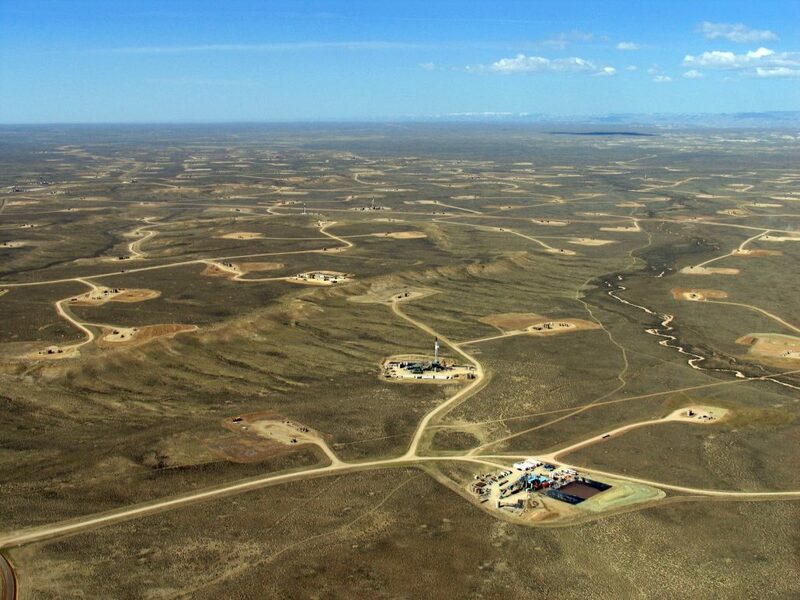 The BLM is a federal agency responsible for over 750 million acres of subsurface mineral rights, including an estimated 57.2 million acres of “split estate“ properties; that is, the surface is privately owned, but the minerals belong to someone else. In this case, the deed holder is the U.S. government, and the guidelines for fracking on these lands will have significant impact on thousands of citizens and will likely set the national standard for disclosure and transparency. In order to perform any aggregate analysis operation, currently a member of the public must go to great lengths to extract data from individual PDF files in order to compile them into a spreadsheet or database. We have demonstrated how this would be done with our Fracking Chemical Database, released last month. The current publication mechanism presents a substantial up-front barrier to anyone seeking to use FracFocus data for research or regulatory purposes. Minimum – Publish the entire collection in a simple standard text format (like CSV) that can be imported directly into a spreadsheet or database. Remove the IP restriction entirely for all the disclosure data. Make an explicit statement that the data can be freely shared and used for any purpose. There is no way to link directly to an individual disclosure document published on fracfocus.org. This is problematic for anyone reporting on the content of a disclosure because in order to reference the original document, they must re-publish a copy of it. Add a mechanism to provide a permanent link to each disclosure document based on a unique document ID number. This becomes the official reference copy of the document in case there is any question about the accuracy of data re-published by a third party. Currently there is no way to tell when a disclosure was first published, so there is no way to verify after the fact whether the disclosure was made in the required time window. We have observed documents that had their content altered after publication, so that the first edition of the document is no longer available and the new edition bears no indication that a previous edition was published. Millions of acres held in the common trust of the American people are under consideration for an extractive process with a very large footprint and potentially significant impacts on air, land, and water. It is critical to the oversight and regulation of this process that the Bureau of Land Management require a disclosure and transparency system that is complete, accessible to all, and enforceable. As we have written before, FracFocus does not provide this transparency and access in its current configuration. Decisions about disclosure should either incorporate changes to the FracFocus disclosure platform, or utilize another system that accommodates the aforementioned needs.